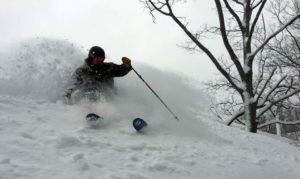 Groomed, Back Country, Vertical Drop & Unspoiled Wilderness. All of these things describe the Manistee County region in the heart of winter time. When the winter white arrives, the area transforms into an outdoor adventure zone, with people from across the midwest flocking to the region to partake in all that mother nature has to offer. 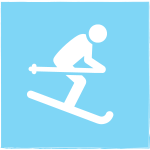 Experience skiing (cross country and downhill) along with snow shoeing, fat tire biking and more! Explore it all now! 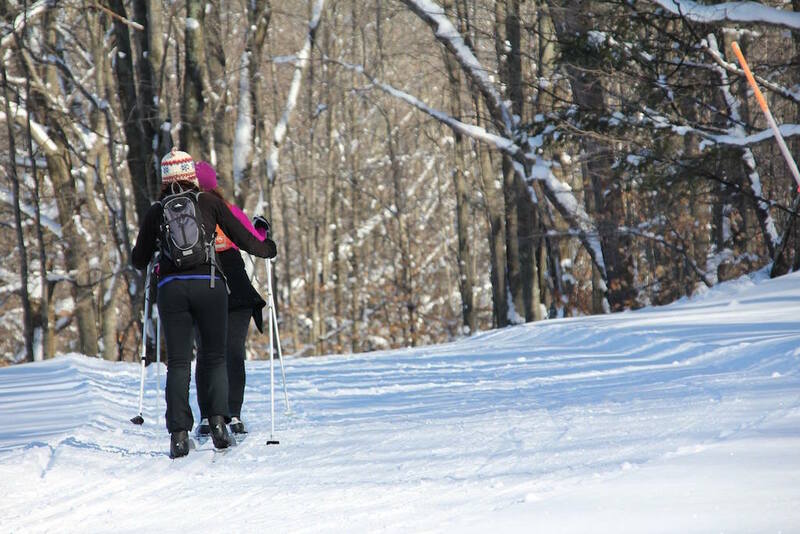 When it comes to Cross Country Skiing, Manistee County is home to one of the regions oldest resorts and recreation areas. The Big-M Recreation area is located on M-55 about 20 minutes outside of the City of Manistee. This area is home to 18 miles of beautiful, groomed, classic skiing. 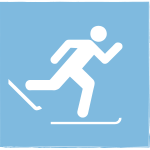 In addition, the Manistee Non-Motorized Park offers nearly 4 miles of classic and skate style skiing just outside of Manistee – a perfect afternoon/quick ski trip. 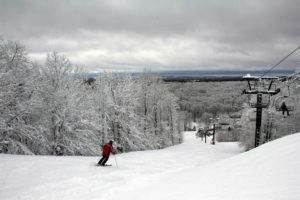 Big-M Recreation Area : Big-M was one of the first downhill ski resorts in Michigan and is now home to 18 miles of groomed classic cross country skiing trails. The trails are maintained throughout the season by a group of dedicated volunteers in partnership with the US Forest Service. In addition to skiing, Big-M also has groomed Fat Tire riding (see fat tire section for more info). Big-M is located in the National Forest, and a parking fee is required. A pay station is available onsite, or seasonal passes can be picked up from the US Forest Service Office in Manistee. Manistee Non-Motorized Trail Park : Thanks to a partnership between the Shoreline Cycling club and the City of Manistee Non-Motorized Transportation Committee, nearly 4 miles of groomed classic and skate style cross country skiing is available just outside of the City of Manistee. In addition, there is also a groomed Fat Tire loop (see fat tire section for details). Ranked one of the top 100 best outdoor recreation areas in the nation by Outdoor Life. Our diverse hiking terrain becomes a snowshoer and back country cross county skiers paradise when the white stuff starts to accumulate. 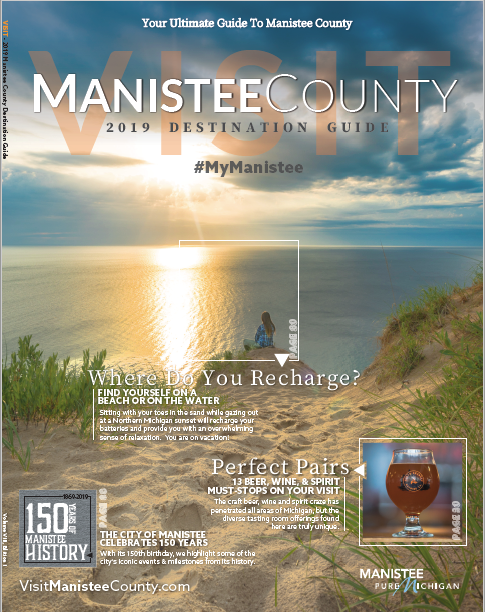 Take on top trails along the Lakeshore like Magoon Creek and the Arcadia Dunes, or venture to the famed North Country Trail and Manistee River Trail Loop. The natural landscape is a spectacular sight! 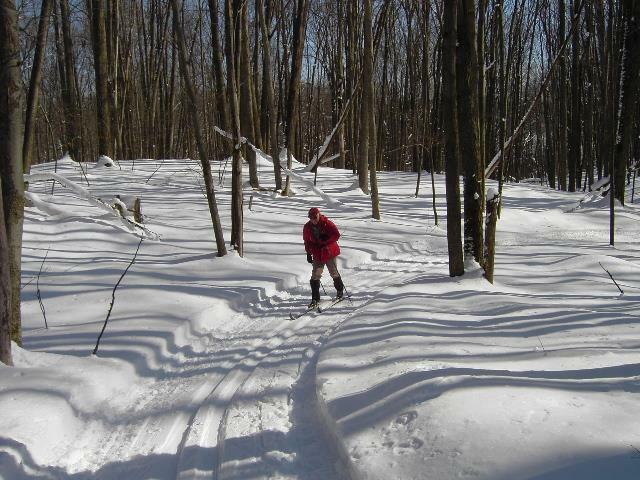 TOP LAKE MICHIGAN SNOWSHOE TRAIL | Arcadia Dunes/Old Baldy Trailhead: The Grand Traverse Regional Land Conservancy has worked hard to give outdoor adventures at all skill levels access to mother nature. The Arcadia Dunes/Baldy Trailhead offers beautiful hiking with stunning Lake Michigan Views. GET DIRECTIONS TO THIS TRAILHEAD. 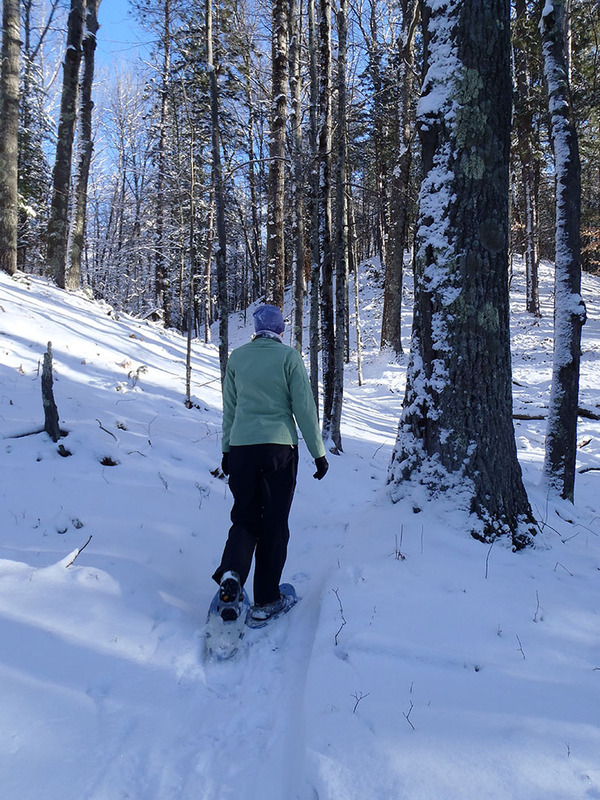 TOP LOOP TRAIL FOR ADVANCED SNOWSHOERS | Manistee River Trail/North Country Trail Loop: This 20+ mile loop is one of the most popular summer trails in the lower peninsula. With panoramic views along the Manistee River Basin, the suspension bridge, two hydroelectric dams and so much natural wildlife, this is an ideal multi-day winter hike and camp. There are also perfect bite sized day hikes throughout. 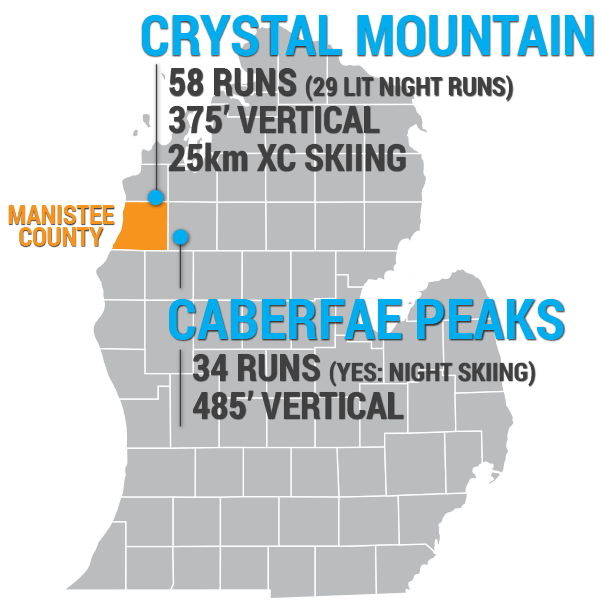 Manistee County has two great downhill skiing options with nearly 100 ski runs in Crystal Mountain and Caberfae Peaks. Each location is a quick 30 minute drive (or less) from Manistee County depending on where you are staying and are very popular ski destinations in the region. With winter Fat Tire Biking all the rage, Manistee County is keeping pace with two great trails with full winter grooming. Big-M Recreational Area’s ‘Outer Loop’ was one of the first in Michigan to have dedicated grooming throughout the winter season and the Non-Motorized Trail park is another great trail close to Downtown Manistee. 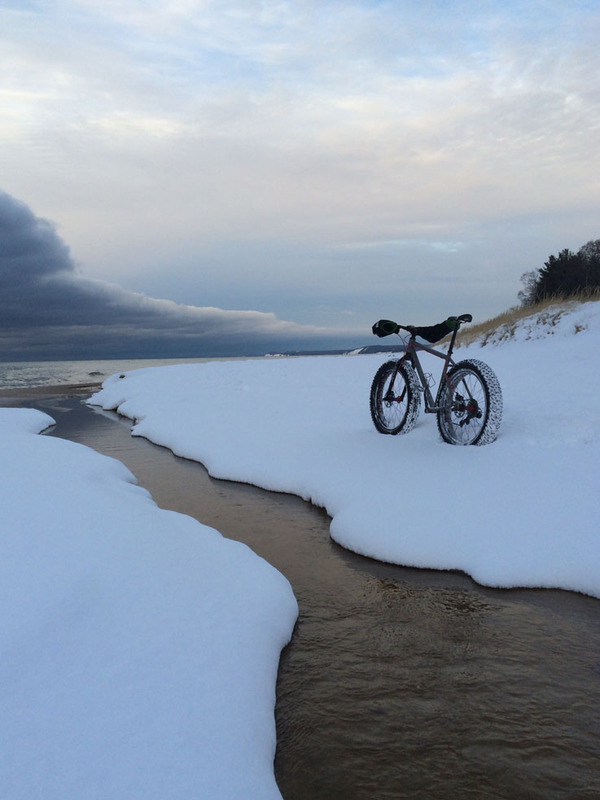 Lake Michigan Shoreline: ACCESS TIPS ON WINTER FAT TIRE RIDING AND WHAT GEAR TO WEAR26 Miles of Sandy Shoreline make way for amazing fat tire riding along the big lake. Use extreme caution when venturing out on ice as conditions may vary based on location. 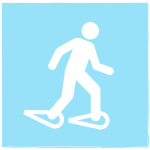 We recommend advanced riders for shoreline riding only and always ride with a group of people.